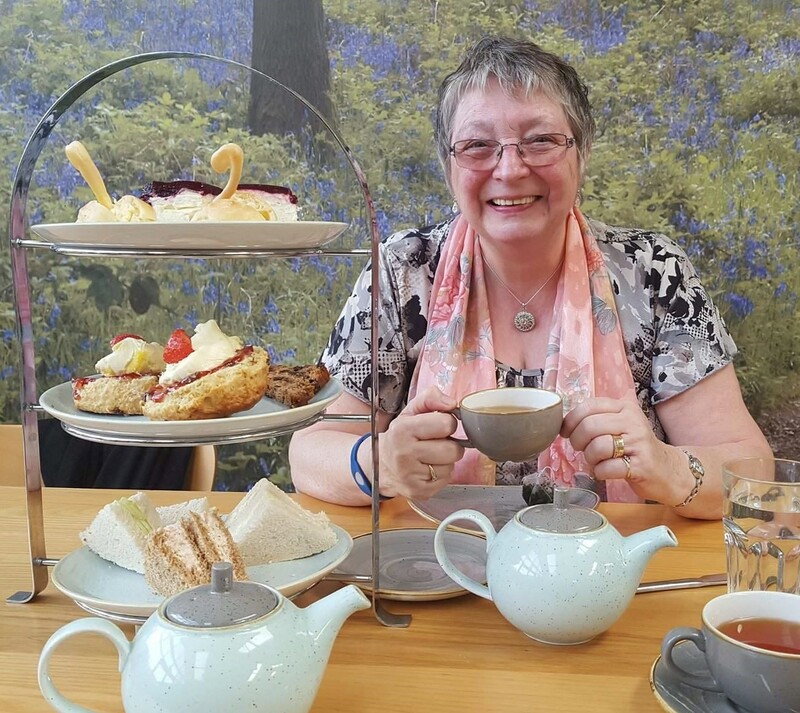 My mum treated me to afternoon tea on Saturday at Fron Goch in Caernarfon. It was so lovely to go on a little road trip with my mum to this wonderful garden centre. It was my very first visit but I have a feeling it won’t be my last. Traditional afternoon tea is served between 3pm and 4:30pm and was a generous serving of sandwiches and cakes that I would recommend you try. 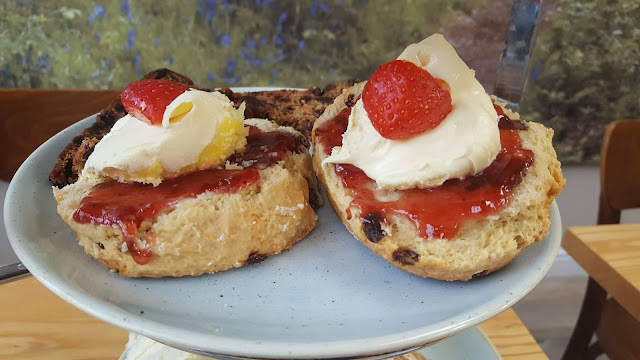 I think I was a little jealous of my mum’s afternoon tea at Château Rhianfa which was part of her 70th birthday present from us, so I was thrilled when she treated me to afternoon tea at Fron Goch. The older I have got the more obsessed I am with afternoon tea, I love the tiered platters full of goodies. I have such a sweet tooth these days and homemade cake is my favourite. The afternoon tea was reasonably priced, my mum is a club card member and they send vouchers every now and then. My mum had a voucher for £5 off afternoon tea so it would have only cost £13 instead of £18, then she whipped out another voucher for an extra pound off so it came in at £12 for everything you see in the picture I think it’s a complete bargain! So, if you plan on visiting Fron Goch do sign up to become a member because those vouchers make all the difference. My mum gets vouchers for discounts on the cream scones too, having sampled half of one with the afternoon tea I was impressed, they are so big and filling, I can see why she visits this garden centre so regularly! The staff were very friendly and accommodating. One family seemed to change the whole afternoon tea to suit their individual tastes and Fron Goch were extremely flexible and helpful. Seriously I don’t know how they stayed so patient, they changed the fillings of ALL the sandwiches and pretty much most of the included cakes! Although maybe I should be a bit more like that as I don’t like cheesecake that much, but hubbie was delighted as it meant I saved it for him. We were given a takeaway box for our leftovers. It’s worth asking if you fill up so nothing goes to waste. I really liked the detail of the choux pastry swans, they looked lovely, almost too nice to eat. My mum asked for peppermint tea for herself and they were quite happy to oblige. All in all, we had a delightful afternoon in pleasant surroundings. After afternoon tea, we had a browse through the charming shop.